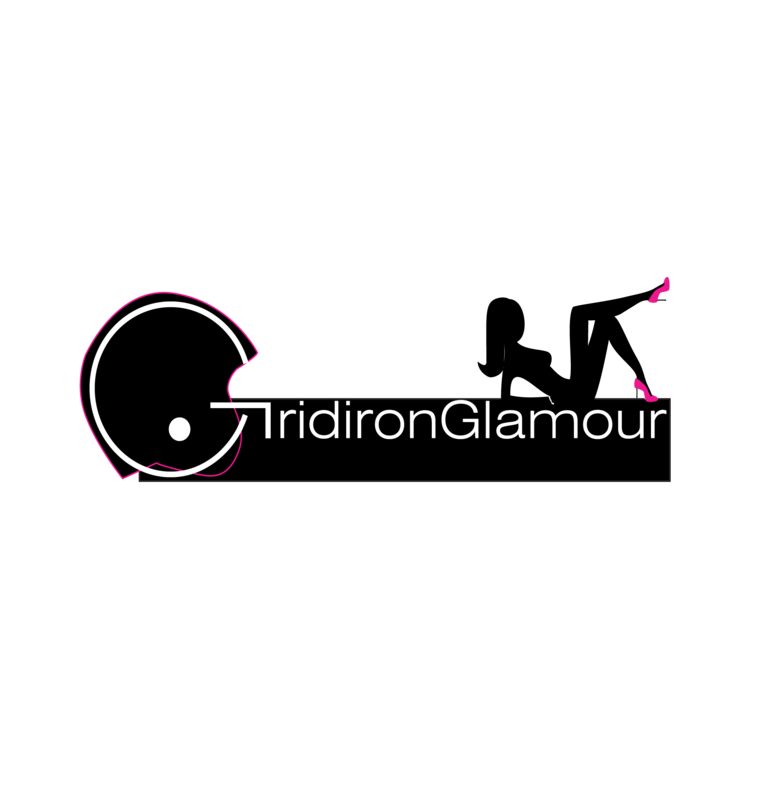 Gridironglamourgirl's Blog A Gridiron Girl's Guide to Football, Fashion, Food and Fun! 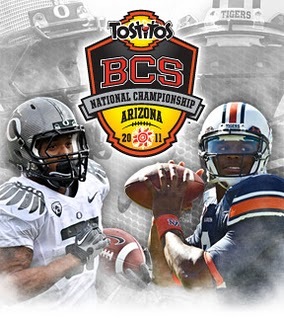 The number one ranked Auburn Tigers meet second ranked Oregon in the BCS National Championship game tonight. It is a game that’s been much anticipated and discussed among the sports community for weeks. Given our recent 1-4 record in this weekend’s NFL Wild Card games, we are a little nervous about predicting the winner of this game, but we will give it a try anyway! Oregon’s offense is explosive and ranks first in the nation. Oregon is a quick strike team, having scored 24 of its TDs this year in plays lasting less than 56 seconds. The Ducks average 49.3 points per game and 537.5 yards per game. This prolific offense has been relentless this season. Auburn’s 53rd ranked defense is going to have its hands full tonight. Heisman Trophy finalist LaMichael James is Oregon’s greatest offensive weapon, as well as the nation’s leading rusher. James averages 152.9 yards per game. At 5’9” and 185 pounds, James has blazing sprinter-like speed. His elusiveness makes defenders miss and when he gets to the edge, he is nearly unstoppable. He is also a power runner and can run between the tackles. If an offensive coordinator could build his own player from scratch, doesn’t it sound like James would be the prototypical, dream running back? James will present an enormous challenge for Auburn’s defense, which ranks 10th nationally against the run. If someone is able to stop James, it may just be Tiger tackle Nick Fairley. As the nation’s top interior lineman and Lombardi Award winner this season, he had 55 tackles, 21 of them for a loss. He can also pressure his opposing quarterback and accounted for 10.5 sacks and 21 hurry ups this year. Ducks QB Darron Thomas is also a force to be reckoned with. He has 28 TDs and has thrown for 2518 yards this season. Thomas, a sophomore, is only a first year starter, but led the offense this year with the poise of a much more experienced player. He has had only 7 interceptions this season and holds a 105.4 QB rating. While his last 3 games were a bit shaky, his performance for most of the season was stellar. Look for Auburn to try and take away James’ running game and force Thomas to take over the game in order to win. While not quite as explosive as Oregon’s offense, Auburn’s offense is high powered and averages 42.7 points and 497.7 yards per game. The Tigers rank 7th in total offense nationally. When Auburn football is mentioned, the first thing that comes to mind is Heisman Trophy winner Cam Newton. Newton has led the Tigers to the national title game, despite all his off-field distractions involving his father and the pay-to-play allegations. Cam Newton’s sheer grit and will to win are intangible qualities that could be the difference in this game. The passing stats for Newton and Thomas are quite similar. Like Thomas, Newton also has 28 passing TDs. He has thrown for 2589 yards and only 6 interceptions. Newton leads the nation in passing efficiency. While the passing stats of Newton and Thomas are comparable, the similarities end there. Cam Newton’s rushing ability makes him a dual threat that Oregon will have to contain. He is lethal on the ground and has scored 20 rushing TDs this season. He averages 108.4 rushing yards per game. So with two unstoppable offenses, which team ends the evening with the national championship title? The Tigers played 5 games this season against opponents who were ranked 18 or higher, compared to only one for Oregon. With this schedule, they have found themselves trailing in 8 games, 4 of them by double digits. Yet the tenacious Tigers always found a way to win. This resolve epitomizes both Auburn and Newton. We believe that facing Oregon’s number one offense will certainly be the biggest challenge the Tigers have had all year. But in the end, their unwavering determination will prevail and they will be crowned the BCS National Champion in a close game. We have been gone for a few days, squeezing out the last of the holiday festivities before getting back to reality. 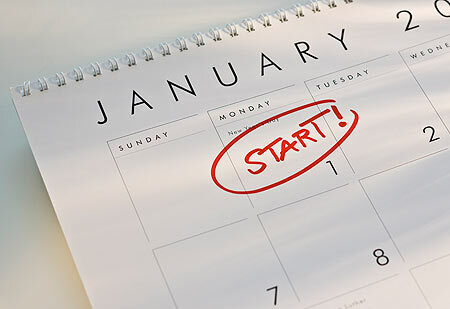 As we head into 2011, we have made our list of resolutions, hoping to accomplish at least a few of the things we long to do this coming year! In that spirit, we offer the following New Year’s resolutions for some of our favorite (and not so favorite) football-related individuals and others from 2010. I resolve to faithfully read the “Miss Manners” advice column so I can learn the meaning of respect and apply it to those around me, particularly legendary quarterbacks who have earned it. 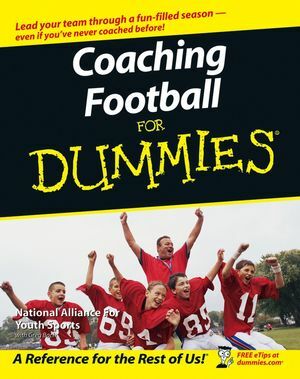 I resolve to go to my local Barnes & Noble to purchase “Coaching Football for Dummies” in hopes that I can learn SOMETHING useful to salvage my professional career. We resolve to hire Strength and Conditioning coaches who work on OUR players and not the other team’s players. We resolve to recognize that women are more than just Barbie Dolls and can actually contribute to sports. I resolve to get rid of my cell phone. I resolve to take the hint from the injuries Gods and finally retire for REAL. I resolve to keep all thoughts about the superb abilities of former coaches and teammates tucked away securely in my head, especially during post-game press conferences. I resolve to keep all comments regarding catered foods and canines to myself. I resolve to keep Vince Lombardi from turning in his grave by never postponing games due to snow and wind. I resolve to keep the word “Wussie” from ever being associated with the NFL again. I resolve to keep the NFL from turning into the National Flag League by concentrating on REAL player safety issues instead of legitimate hard hits. I resolve to never listen to my father’s advice. I resolve to take lots of pics with my Heisman, since I will undoubtedly be returning it within the next few years. We resolve to stop being an NFL player factory and at least APPEAR to provide an education. We resolve to duct tape our President’s mouth whenever he attempts to discuss football. I resolve to stop giving the camera that Gomer Pyle “Gaaw-aawl-ly” look when I throw an interception. I resolve to call my big brother and get advice on how to transform my naïve country boy persona into one fitting a New York quarterback. We resolve to fairly enforce our rules and not allow players from big football programs (read Auburn and Ohio State) to get off the hook. I resolve to actually practice the Christianity I profess and learn that forgiveness is one of its tenets. I resolve to never speak about football, or any other sport, again. I resolve to loosen my bow tie, in hopes that it sends oxygen to my brain so that I think before I speak. 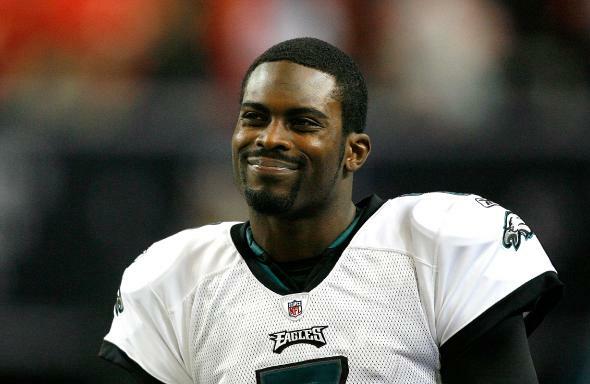 I resolve to finish my story book-like comeback with a fairy tale ending and take my team to the Super Bowl. I resolve to continue to be THE most exciting player in the NFL while showing the world that redemption is truly possible. Today’s Menu: College Football Conference Championship Games! The college football season is winding down, and in just a few weeks, the bowl games will be in full swing. Today the ACC, Big 12 and SEC conferences hold their championship games. There are some great match ups! Here is our take on today’s slate of title games. The 15th ranked Virginia Tech Hokies face off against the No. 21 Florida State Seminoles at Bank of America Stadium in Charlotte, North Carolina tonight at 7:45 pm (ET). The winner of tonight’s game will play in the Orange Bowl in Miami on January 3rd, while the loser will play in the December 31st Chik=fil-A Bowl in Atlanta’s Georgia Dome. Since the Hokies joined the ACC in 2004, they have earned three ACC Championships and four Coastal Division Championships. Against ACC rivals, their record is 46-10. While their dominance within the ACC is apparent, tonight’s game with the Seminoles is a real test for Virginia Tech. The Hokies have had a tough time with FSU over the years, losing the last 13 of 14 contests. The Seminoles have revamped their program after a disappointing last few seasons. With the retirement of legendary coach Bobby Bowden last year, Jimbo Fisher is trying to re-establish FSU as one of the top program’s in the country. A win against the Hokies tonight would clearly put FSU back among college football’s elite. After a poor start this season, including an embarrassing loss to James Madison, the Hokies have shown resiliency and character. They have won 10 straight games and have gone undefeated in ACC games, the first team to have done so in 10 years. Tonight they will continue their hot winning streak. Look for a close game, coming down to some exciting 4th quarter drama! We think Hokie QB Tyrod Taylor, the ACC Player of the Year, will lead the Tech to its 4th ACC Championship title and road trip to Miami in January. Cowboys Stadium will host the 9th ranked Oklahoma Sooners vs. and No. 13 Nebraska Cornhuskers. Oklahoma and Nebraska have had one of the longest rivalries in college football history. The two teams have met 86 times and the tradition between them is legendary. Their 1971 game is known as the “Game of the Century”. While tonight’s game does not hold any national championship implications unlike many past contests, it does have special meaning. With the Cornhuskers set to join the Big 10 next year, this will be the last Big 12 Championship since NCAA rules require at least 12 teams to hold a title game. The old-fashioned rivalry is a perfect story book ending to the Big 12 title game. Nebraska head coach Bo Pelini’s hot temper and sideline antics will certainly entertain fans. While he is widely criticized for his tirades, we admire his intensity. Sure, he should try not to publicly dress down his star QB. Pelini should also attempt to keep his profanity-laced tirades aimed at referees to a minimum, but it is actually refreshing to see a coach who cares that much! Should Nebraska pull of the victory, it will be amusing to watch the Big 12 Commissioner hand him the trophy as he and Nebraska heads off into Big Ten country. Both teams enter today’s game with injuries to some key players. The 10-2 Cornhuskers could be without starting QB Taylor Martinez, while the Sooners may be missing their leading rusher, DeMarco Murray. If these players miss today’s conference championship, it could have a huge impact on the outcome of the game. The Cornhuskers have the nation’s 5th ranked defense, which will be put to the test by Oklahoma’s powerful offensive duo of QB Landry Jones and receiver Ryan Broyles. Together, they have made the Sooners the 4th best passing team in the country. Look for a close game, with Oklahoma ending the Big 12 Championship series with a victory. Kickoff is 8 pm ET. Number one Auburn takes on 19th ranked South Carolina in the SEC title game at the Georgia Dome. Auburn’s QB Cam Newton was cleared to play earlier this week after the NCAA ruled that he had no knowledge of his father’s pay-to-play scheme. Newton will try to keep the Tiger’s perfect season and lead the team to both an SEC Championship title and BCS National Championship game. Of all the conference title games today, this is the one that could be an upset! Auburn and South Carolina played earlier this season, with the Tigers winning 35-27. South Carolina has improved since that last meeting in September, but in order to defeat Newton and Auburn, they will have to play a near-perfect game. In the last game, SC’s defense had 17 missed tackles and 33 missed assignments. Offensively, SC had 4 turnovers in their last 4 possessions! They cannot afford that kind of sloppy play if they have any hope of sneaking away with an upset win. Newton is not the #1 Heisman candidate without good reason. His performance has simply been extraordinary. Alone, Cam Newton averages more rushing yards than 5 SEC teams. To slow down his running game, SC will need to load the line of scrimmage and force him to pass. If SC can slow down Newton’s rushing game, there is still plenty to worry about since his passing game is also phenomenal! In the last 4 games, he has completed 72% of his passes. He is second in the nation in passing efficiency. In order to contain Newton, SC will have to stack the box, provide pressure and sack Newton to prevent him from throwing. South Carolina leads the SEC in sacks and will need a big day in this category if they are to be successful. South Carolina Head Coach Steve Spurrier won 6 SEC titles while at Florida and knows how to win the big games. Today’s SEC Championship is indeed a big game. If SC can control the time of possession, contain Cam Newton and keep from committing turnovers, they can pull off the upset! Get ready for an exciting matchup. Game time is 4:00 ET. Does the NCAA Stand for “No Cam Accountability Allowed”?? We have been supporters of Auburn’s Cam Newton all season long. His performance has deservedly made him the leading candidate for the Heisman Trophy. He’s the first player in the SEC to have passed for over 2,000 yards AND rushed for more than 1,000 yards in a single season. Newton has the led the Tigers to a number one national ranking and, in all likelihood, a real shot at the BCS national championship. On Saturday, he and Auburn will play for the SEC championship in a game versus South Carolina. Looking at these stats, it is easy to justify Newton’s position as the #1 Heisman hopeful. “Pay to play “allegations have been swirling around Newton and his father, Cecil Newton, for weeks. The accusations were that Cecil and a former Mississippi State Bulldog player (who is now the owner of a scouting service) worked together to asked Mississippi State boosters to pay $180,000 in order for Cam to play for the Bulldogs. 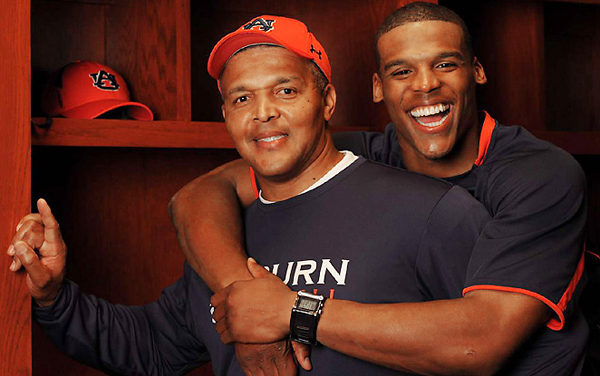 Both Cam Newton and his father have denied all allegations. For weeks, Cam Newton has refused to speak to the media about the ongoing NCAA investigation. Instead, he has continued his phenomenal performances and has handled the scrutiny and pressure quite well. Last weekend, he brought the Tigers back from a 24 point deficit against #9 Alabama. The victory was a real testament to Newton’s incredible athletic abilities and focus. Cam accounted for all TDs in the comeback and his performance truly reinforced his first place standing in the race for the Heisman. Based on ability alone, Newton should win the Heisman hands down. But the past few days have brought new information to light. The NCAA has been investigating the pay-to-play allegations since the summer. Based on their investigation, they ruled that a violation of NCAA rules had been committed by Cecil Newton and Kenny Rogers, the former Mississippi State player. Specifically, on Monday the NCAA ruled that a violation of Cam Newton’s amateur status had occurred. Following NCAA guidelines, a school must rule an athlete ineligible if they are told that a possible violation has occurred. Therefore, on Tuesday, Auburn ruled Cam Newton ineligible to play and then immediately requested that he be reinstated. The very next day, Wednesday, the NCAA cleared Newton to play “without conditions”. The student-athlete’s father (Cecil Newton) and an owner of a scouting service (Kenny Rogers) worked together to actively market the student-athlete as a part of a pay-for-play scenario in return for Newton’s commitment to attend college and play football. NCAA rules (Bylaw 12.3.3) do not allow individuals or entities to represent a prospective student-athlete for compensation to a school for an athletic scholarship. The NCAA went on to say that they did not have “sufficient evidence” to prove that Cam was aware of his father’s attempt to sell his athletic services. These fast and unexpected developments have certainly raised a few eyebrows. Isn’t it quite convenient that the NCAA could reinstate Newton so quickly, given the importance of this weekend’s game against South Carolina? If Newton had not been ruled eligible to play, Auburn’s chances against South Carolina would be greatly diminished. If Auburn were to lose, the third ranked BCS team, TCU, would be the next contender for the national championship game. Is it possible this factor influenced the members of the NCAA? Yes, it seems that given the money and prestige of the BCS, the idea of a much less prominent school like TCU in the title game could have influenced the NCAA’s decision. Furthermore, given the strict and rigid rules of the NCAA, how could they so easily accept the idea that Cam Newton was unaware that his father was trying to sell him to the highest bidder? The NCAA routinely cracks down on small, simple violations by athletes, like accepting a dinner invitation or small gift! In this case, there are SERIOUS allegations and now, apparently, enough evidence to implicate Newton’s very own father. Frankly, it is just plain hard to believe that Cam was not aware of his father’s actions. The NCAA’s ruling that Cam Newton is eligible to play was made by the body’s reinstatement committee. However, the NCAA’s enforcement staff, a separate and independent group from the reinstatement committee, is continuing its investigation. While Auburn may very well go on to win the SEC title and the BCS National Championship, and Newton may win the Heisman, the case is far from over. When allegations surfaced about NCAA violations involving Reggie Bush and USC, it took 4 YEARS for the case to be closed. That case resulted in Bush returning his Heisman award and USC receiving major sanctions against the football program. 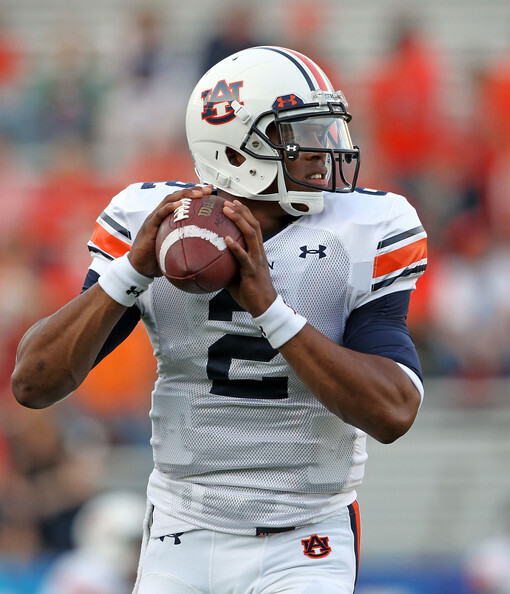 So, for Auburn and Cam Newton, the NCAA ruling is good news in the short term. In the long run, this latest ruling could be meaningless. Cam Newton’s football performance this season is Heisman worthy. There is simply no argument about it. With only 4 days left for voters to return their Heisman ballots, it is quite likely the winner may have already been selected. We believe Cam Newton will win the coveted award. What is unclear is whether he, like Reggie Bush, will be forced to relinquish the Heisman should more proof about what he knew come to light. The NCAA’s lenient ruling in the Cam Newton saga truly is puzzling. Given the stakes involved, it is more than surprising that they simply took Cam at his word that he was unaware of his father’s illegal and immoral actions. For whatever reason, it seems the NCAA has decided to stand for the “No Cam Accountability Allowed” body, rather than the stringent, authoritative governing organization it has always been. Only time will tell whether the NCAA made the right call on Cam, or whether they were influenced by outside forces to allow him to continue his run for the Heisman, SEC title and possible national championship title. What is clear, however, is that the NCAA’s latest Cam Newton ruling opens the door for other student athletes to simply deny knowledge of any potential violations committed by others on their behalf. The ruling has set a dangerous precedent and is a potential serious problem for future NCAA investigations into player conduct. 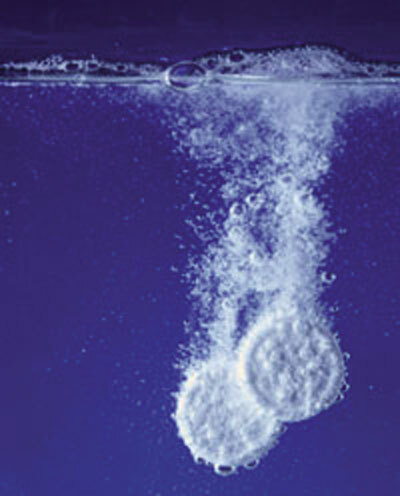 Boise State Falls to Nevada in OT… Plop, Plop, Fizz, Fizz Oh What a Relief it is! College football’s most divisive team, Boise State, lost 34-31 in overtime to Nevada last night. The Broncos were ranked 4th and were undefeated this season. In fact, they had not lost a game since 2008, when they fell to TCU in the Poinsettia Bowl. Poinsettia Bowl? Honestly, I did not even know that bowl existed. This loss makes it quite likely Boise will end up in a similarly named bowl of obscurity. If you detect a bit of mockery in my tone, you are right. Politically correct or not, I am willing to admit that I am celebrating Boise State’s defeat. I have felt all along that they were undeserving of their 4th place ranking. Given the current structure of the BCS, I have little faith that the actual top teams will be playing for a national title. The idea of Boise State playing in a BCS bowl game seemed so unjust and bizarre to me. Thankfully last night’s loss will ensure that the Broncos will not be national championship contenders. Whew! What a relief. I do know, having been both a Southeastern Conference president and a Big Ten president, that it’s like murderer’s row every week for these schools. We do not play the Little Sisters of the Poor. We play very fine schools on any given day. So I think until a university runs through that gauntlet that there’s some reason to believe that they not be the best teams to (be) in the big ballgame. It was an insensitive way to basically argue that schools like Boise State and TCU do not play with the “big boys”. However, the OSU President should have looked at strength of schedule stats before making such a controversial, public statement. It turns out that OSU’s strength of schedule (59) is only slightly better than TCU’s (68) and Boise’s (73). These strength of schedule (SOS) stats have now been used against Gee by basically every sports commentator and writer around. But to dismiss Gee’s arguments by simply quoting SOS data misses the bigger picture. There is validity in what he was trying to say. Frankly, the WAC and Mountain West conferences, which Boise and TCU play in, are NOT as competitive as the SEC, Big Ten, Big 12, PAC-10 or the ACC. While teams like these do play weaker opponents, the majority of their games are against teams in more powerful conferences. For example, #2 ranked Auburn has faced Arkansas (#12 at the time), LSU (#6 at the time), South Carolina (#12 at the time) and Alabama (#11 at the time). Conversely, Boise State’s ranked opponents have been Virginia Tech (#10 at the time) and # 19 Nevada, whom they lost to last night. Consider the argument from yet another perspective. If you are a high school football player, being recruited to play at the collegiate level, would you choose a school from the Mountain West over ANY school in the PAC-10, Big Ten, ACC, Big 12 or SEC? Of course there are exceptions, but the majority of elite high school prospects choose colleges from the powerhouse conferences. This means that week after week teams like Auburn, Alabama and OSU face athletes who are simply stronger, faster, bigger and yes, better. So until Boise State and TCU can compete against better caliber opponents on a consistent basis, football fans like me will continue to doubt them. All the controversy about strength of schedules, BCS computer rankings and so forth could be eliminated if a college football playoff system was implemented. It would put an end to the endless arguing about who deserves to play in the major BCS bowls. Gordon Gee is not a proponent of a playoff system and prefers the status quo. If he truly believes OSU is far superior to teams like Boise and TCU, he should welcome NCAA playoffs. In the meantime, people like me have to sit back and hope that the football media darlings, like Boise State, fall from grace and get eliminated from the national championship discussion. If you listen closely, you can hear the sigh of relief from football fans throughout the land. Cam Newton is the Comeback Kid! If you watched Auburn vs. Alabama today in the Iron Bowl, I hope you didn’t turn it off at halftime to go grab some Black Friday bargains. The game was one of the most exciting deals you could ask for and it was certainly a tale of two halves! Auburn entered the game ranked 2nd in the nation. The atmosphere at Alabama’s Bryant-Denny Stadium was hostile, with much of the hatred directed at Auburn QB Cam Newton. Newton has been embroiled in pay for play allegations for weeks. As the leading candidate for the Heisman Trophy, it is not surprising that Alabama Crimson Tide fans targeted Newton. They threw play Monopoly money at him as he entered the stadium and the loudspeakers blared out the song “Take the Money and Run” during pre-game warm-ups. In the end, though, Newton would silence all his critics with the biggest comeback n Auburn’s history! The first half was dominated by 9th ranked Alabama, who at one point led 24-0 in front of their home crowd. Alabama tore the Auburn Tiger defense to shreds and it looked as though a blow out was developing. In fact, the Tide controlled the first half so completely that it was 21-0 before Auburn even gained a first down! Cam Newton had a dreadful start and at the end of the first quarter was 0 for 1 in passing and had 5 carries for negative 6 yards. Late in the 2nd quarter, Auburn finally answered back with a 36 yard TD pass from Newton to wide out Emory Blake to close the scoring gap to 24-7. Little did anyone know it was just the beginning of the Cam Newton Comeback Show. In the second half, Newton threw a 70 yard TD pass on the second play to make it 24-14. The Tiger defense stepped up and forced Alabama to punt, allowing Newton and his offense to work their magic. Late in the 3rd quarter, Auburn scored again, this time on a Cam Newton run, to bring the score to 24-21. With just over a minute left in the 3rd quarter, Alabama kicked a field goal and led 27-21. In the first half, the Auburn defense gave up 379 yards to the Crimson Tide offense. But Auburn’s defense looked like a different unit when they emerged from the locker room and held Alabama to just 67 yards in the second half! Another Cam Newton passing TD early in the 4th quarter gave Auburn the lead for the first time, 28-27. The Tigers would keep that lead and prevent Alabama from scoring for the rest of the game. Cam Newton’s performance was indeed magical. Alabama had won 20 consecutive home games and it looked as though they were about to seal their 21st victory. But Newton would not be deterred. His determination to keep Auburn’s undefeated record and national championship hopes alive was remarkable and should solidify his #1 position in the Heisman race. Despite the hostility directed at him and the incredible media scrutiny he is under, Newton was able to keep his composure and lead his team from what seemed an insurmountable 24-0 deficit. He threw for 216 yards and 3 TDs, as well as running for a TD. At the end of the game, he not only defeated the Crimson Tide football team, but also silenced the more than 100,000 fans who left the stadium in stunned silence. On so many levels, Cam Newton truly was the Comeback Kid today! Badgering the Badgers – Is Sportsmanship Missing in Wisconsin? Tonight’s college football game features #11 ranked Alabama vs. Georgia State. Georgia State? Yes, the Tide is not facing Georgia or Georgia Tech this evening. They are playing a first year program. The Tide should easily roll over Georgia State’s young and inexperienced roster, giving their backups a chance at some game play. Alabama faces #2 powerhouse Auburn the day following Thanksgiving in what is dubbed the “Iron Bowl”. A “soft” game like tonight’s will give them much needed time to prepare for Cam Newton and the ferocious Tigers. Alabama is predicted to win against Georgia State tonight by about a 40 to 50 point margin. Expect Alabama Head Coach Nick Saban to take his starters out early. It will be interesting to see just when he sends his back ups in and how far he runs up the score. Running up the score has recently become a point of controversy. After last weekend’s 83-20 slaughter of Indiana by the Wisconsin Badgers, the topic has once again been brought to the table. The large margin of victory caused sports commentators throughout the country to jump on the anti-Wisconsin bandwagon. Wisconsin was similarly criticized earlier in the season when they crushed Austin Peay 70-3. In a game against Minnesota, the Badgers were up by 25 points with just under 7 minutes left in the game and went for a 2 point conversion. Wisconsin’s 83-20 massacre generated lots of talk in the college football sports arena this week about the Badger’s lack of sportsmanship this season. Wisconsin’s huge score certainly appeared excessive to anyone who simply looked at the numbers scrolling across the bottom of their TV screen last Saturday. It is easy to see the 83-20 score and listen to the pundits who claim it was unsportsmanlike and leave it at that. But to accuse the Badgers of such disrespect, you really need to know the particulars of what happened. Let’s look at some indisputable facts about last Saturday’s game. First, the game was tied 10-10 in the 2nd quarter when Indiana’s starting QB got injured. When he left the game, the Hoosier offense simply fell apart. Even when Wisconsin put their backups in, it seemed Indiana had lost their motivation and desire to win. How is that Wisconsin’s fault? This is college gridiron. It is not Pop Warner or Pee Wee youth football. At this level, players and coaches need to be competitive and play hard. When the backup players enter the game, are they supposed to go light? Of course not! They are out there to try and execute plays! It is the responsibility of the coach, in fact it is his paid JOB, to prepare all the players on his roster. That means letting them gain real game time experience when the victory is already in hand. The main play that critics point to in last Saturday’s game is the 74 yard TD pass by Wisconsin half way through the 4th quarter. For anyone who actually watched the game, the pass was the result of a broken play by their THIRD STRING BACKUP QB! The Badger’s coaches did not call this long pass play, it just happened. Stories like the 83-20 defeat by Wisconsin make sensational, scandalous fodder for sports pundits. Did these same pundits point out the two games earlier this season where the Badgers took a knee late in the game to run out the clock, rather than go for the score? Where were these same critics when Oregon crushed New Mexico 72-0? Did sports writers and commentators cry about Boise State’s 48-0 and 59-0 shut outs of weaker opponents earlier this year? Those of us who actually watched the game, or those who COACHED in it, have a much different opinion about whether or not Wisconsin showed a lack of respect and sportsmanship for its opponent. Indiana Head Coach Bill Lynch said he does not feel Wisconsin ran up the score. Instead, he put the blame on his own team who simply lost their ability (and will, it seems) to stop the Badgers. Earlier in the year, superstar QB Peyton Manning was playing the NY Giants. The Colts were leading by a big margin and there was no doubt the victory was theirs. I remember watching Peyton, late in the game, arguing against a referee’s call. Despite the fact that the game was in hand and that his little brother was taking a beating, Peyton’s competitiveness and drive could not be suppressed. At game time, it’s just who he is. As I watched him vehemently argue with the officials, I truly admired his passion and intensity. It is what has made him one of the most successful QBs in the NFL. That same drive and competitiveness that Peyton Manning exhibited is expected in college football. Wisconsin demonstrated it and earned a nice lead in the game. 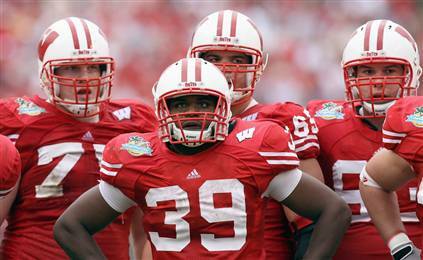 Then the Badgers allowed their backup players to go out and execute plays. They didn’t send them on to the field to simply stand around. If Indiana was unable to stop them, perhaps the same critics who want to create a salacious story about sportsmanship should instead analyze why the Indiana squad seemed to simply give up. Check out our logo! Our website will be up soon!